Camberley, UK 15 February 2018 Quortus today announces a collaboration with e-BO Enterprises, a Belgian provider of smart content distribution platforms, network operation services, secure cloud computing solutions and network infrastructure, to enable LTE voice and data solutions for offshore wind farms. The companies’ jointly developed solution is already commercially deployed in two North Sea wind farm installations, where it provides reliable, ubiquitous wireless voice and data coverage, allowing maintenance and construction co-workers to communicate across the offshore site and onshore control centres. e-BO’s e-Wind offering is a complete all-in-one development and management solution for wind farms, encompassing resourcing, logistics and communications. Quortus contributes virtualized LTE core network functionality to enable LTE Network in a Box (NiB) solutions that function as standalone private networks, or interconnect to existing Mobile Network Operator (MNO) infrastructure. Using this technology, e-BO can create a broadband-like experience across an entire offshore site. e-BO provides a full solution for offshore wind facilities, including network design, deployment and maintenance, with team members certified for work offshore. All installations are based on high-quality hardware with a mean time to first failure (MTTF) of 30 years. 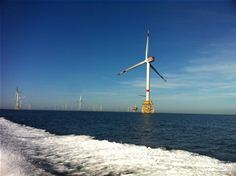 The company also provides advanced, high-level business operations systems including a marine coordination tool, asset management system, and a wind farm management facility which includes real-time reporting to optimize energy yield and long-term planning tools for complete performance analysis.